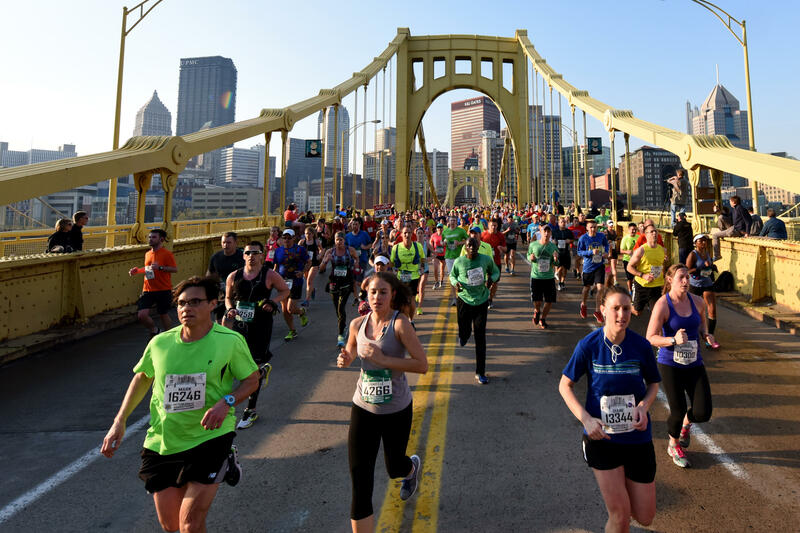 Initial Downtown road closures will begin on Friday, May 5 starting at 12:00 p.m. on the Boulevard of the Allies between Wood Street and Stanwix Street. This section of the Boulevard of the Allies will remain closed through Sunday. 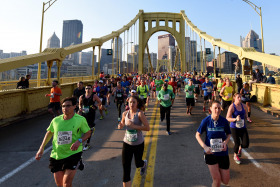 For Saturday, May 6 events (Pittsburgh 5K and Kids Marathon), North Shore and Downtown road closures will start at 7:30 a.m. on Saturday and continue until 12:00 p.m.
For Sunday, May 7 events (Marathon, Half Marathon and Relay), Downtown road closures will start at 1:30 a.m. on Sunday, May 7 and continue around the city through 2:30 p.m. on Sunday, May 7. For more details on detours and closures, click here. The Port Authority will also post detours and schedule changes for race weekend, please be sure to view their information if you are planning to use buses or the T to get around. To view University of Pittsburgh shuttle schedules, click here.